Part of the joy of scale modelling is the creation of a diorama, realistic scenes which display your finished model in context and take it to the next level. 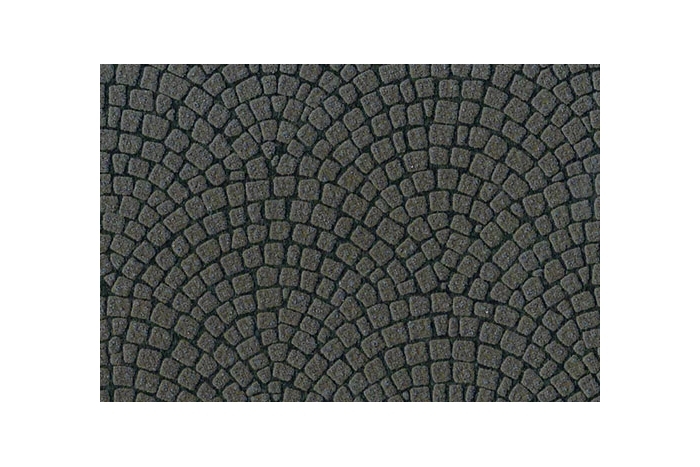 This sheet features realistic patterns with a raised texture printed onto a craft paper background, and they allow simple yet highly effective recreation of surfaces and textures which would be seen in many typical diorama such as stone street paving and brick walls. Craft paper-based material can be cut easily to the desired size and attached to a diorama base or surface using double-sided tape, Tamiya Craft Bond, wood glue, etc. It can be painted with enamel and acrylic paints.